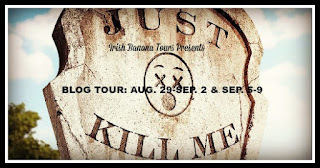 Just Kill Me by Adam Selzer Mood Board | Blog Tour & Giveaway! Today, I am extremely excited to be a part of the blog tour for Barbara O'Connor's Wish! I was wishing to be on this tour ever since I found out about it, and I'm so excited to share the content that I created with you! FISH WIELDER by J R R R Hardison | Release Blitz + Giveaway! When I first read about FISH WIELDER, the very first thing that I thought of was Monty Python and the Holy Grail. FISH WIELDER is full of funny characters, a silly story and sometimes outright strange mission. While FISH WIELDER may be an epic fantasy, it's completely different than anything on the market. A talking fish and a depressed brute take on the seemingly hopeless mission of retrieving the lost pudding -- not to eat, but to save their planet! With that, I'm very happy to share a little bit about the author, the book, and give you a chance to try the book for yourselves! Also, don't forget to enter the giveaway at the bottom of this post! In ancient times, the Dark Lord Mauron cooked the most powerful magic chocolate dessert ever made, the Pudding of Power. One thousand and two years later, the evil leader of the Bad Religion, the Heartless One, is trying to recover the lost pudding in order to enslave the peoples of Grome. Only the depressed barbarian warrior Thoral Might Fist and his best friend, Brad the talking Koi fish, have a chance to save the world of Grome from destruction, but that's going to take a ridiculous amount of magic and mayhem. 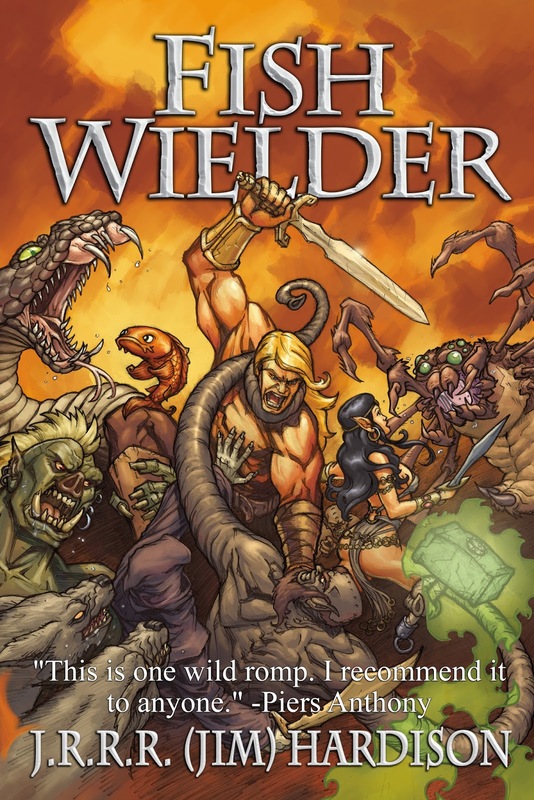 Thus begins the esepically silly epic fantasy of epic proportions, Fish Wielder—book one of the Fish Wielder Trilogy. I Turn the Pages is not responsible for sending the giveaway prize nor is I Turn the Pages responsible if the prize is lost in the mail, by entering the giveaway, you acknowledge this! Thank you so much to Hannah from Irish Banana for allowing me to be a part of this release blitz and to J R R R Hardison for letting me share an excerpt from his book AND have a giveaway for all of my lovely readers! I know I haven't done an official "Waiting on Wednesday" post in a while, so I thought I would bring it back to the blog. There are a ton of books that I am really anticipated for, and some of the release dates are right around the corner, so I wanted to share one with you all today. For this week's Top Ten Tuesday, it's all about books that we meant to read in our pre-blogging era. Granted, that was two years ago (I would have been 15) and I still haven't really purged the books I don't want to read anymore from my shelves . However, the books on THIS list are books that I have FULL INTENTIONS of reading -- I just haven't gotten to them yet. 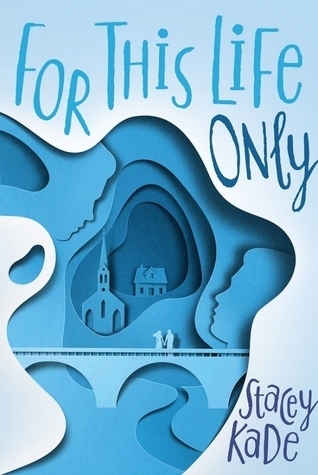 I am absolutely thrilled to be a part of the Irish Banana Blog Tour for FOR THIS LIFE ONLY by Stacey Kade! Order FOR THIS LIFE ONLY Here! Learn More About Stacey Kade Here! "A young man struggles to move forward after the death of his twin brother in this gripping, coming-of-age tale about loss, redemption, love, and the moment you begin to see the world differently. Jacob Palmer died for three life-changing minutes. And when he woke up, nothing was the same. Elijah, his twin brother, is dead, and his family is broken. Jace’s planned future is crushed, along with his pitching arm. Everyone keeps telling him that Eli’s in a better place, but Jace isn’t so sure. Because in those three minutes, there was nothing. But she’s also the first person to truly see him." If you know me well, you know that I absolutely love to make mood boards for my blog! 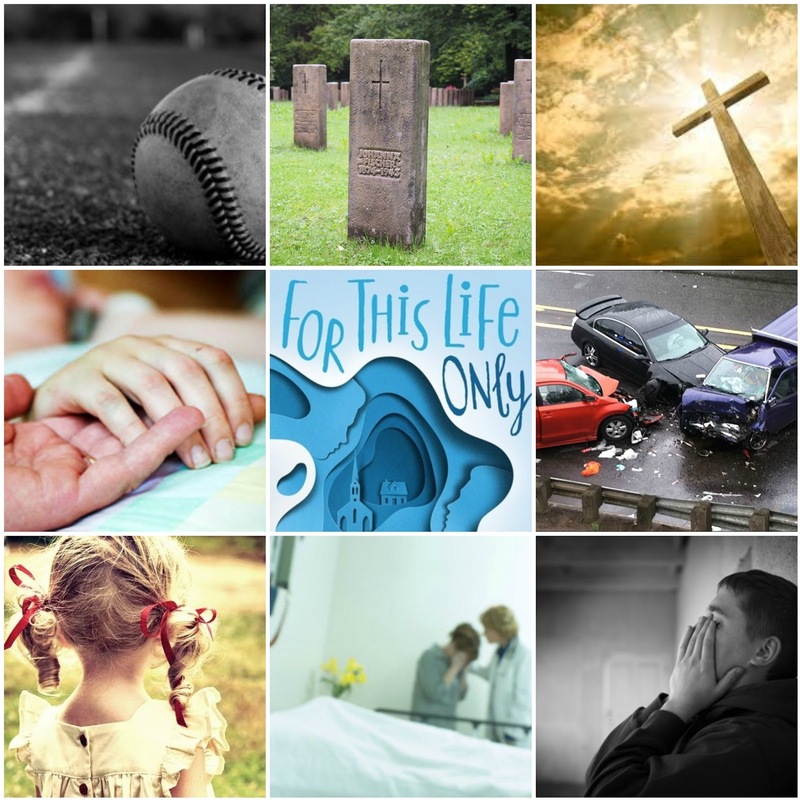 I decided to make a mood board for my stop on the FOR THIS LIFE ONLY! I really hope you enjoy it! As you can probably tell by the mood board below, this book does contain some pretty heavy themes. I'm actually extremely happy about that, because I feel like a lot of YA in the past had not discussed ideas like the death of a sibling, or the connection to a character's faith, or the aftermath of a disaster. I love how the publishing industry is changing and embracing more books that contain extremely important narratives. While it might not relate to you personally, there is a reader out there who might need a book like this one. With that, let's reveal my mood board for this book! Note: I received a copy of the book in the mail today (8/21) and already finished it! I didn't want to redo the moodboard/explanations because I put a ton of time into this post, and I also want to do a formal review comparing my initial thoughts to my final ones! I've decided to change this post and make it a little bit different than the post for my Mood Board Mondays, simply because the book isn't out yet (and I haven't received my copy yet! ), so I feel like if I tried to answer some of those questions, I would not be able to. For this mood board, because I haven't read the book yet, I pulled most of what I know about the book from other advanced reviews and the summary. I wanted to try and capture the essence of the story - that is, a boy dealing with the lost of his twin brother - even if I couldn't read the book yet. The main character in this book loves baseball, and has a very strong connection to his faith, so I wanted to include those two pieces as elements of my mood board. Jace, however, has to give up his passion for baseball when his pitching arm is crushed, in the same accident that killed his twin brother. Throughout the book, not only does he have to grieve the loss of his twin, but learn how to cope with losing one of his passions as well. I do know that this book deals with some sort of a friendship/romance through one of the girls that he meets, but seeing as I didn't know the exact nature of it, I didn't want to include it in my mood board. Instead, I wanted to focus my mood board on Jace and his family, along with the feelings he might be dealing with. The little girl in the mood board is his younger sister. I thought it would be interesting to include her in the mood board, because I wonder how much of the story focuses on her and how she is coming to terms with something that she might not understand completely. Overall, I really enjoyed creating this mood board for the tour! I can't wait to get my hands on this book and read it! I'll definitely be writing a review on this, and I would love to see how my initial interpretations of the story compare to the writing. This giveaway is being run TOUR WIDE, so I Turn the Pages is not personally responsible for this giveaway nor if any of the items get lost in the post, etc. Don't forget to rack up some more entries in the giveaway and stop by the other posts on the tour as well! What was one book that you needed to read about when you were younger? Let me know in the comments below! Thank you SO much to Irish Banana Blog Tours and Stacey Kade for allowing me to promote a book that is very much needed in the YA world! 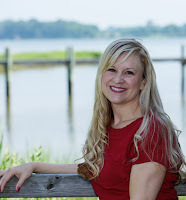 Today, I am very excited to partner with Irish Banana Blog Tours and Wendy Higgins to bring you some amazing news on Wendy Higgins' new book, UNKNOWN, which releases today! I know this is a New Adult series, and it's not suitable for the younger readers in my blog, but I figured it would be a nice deal to share! I know a lot of my readers read New Adult as well, so I want to share this amazing new series with you from a NYT Bestselling Author! There is an amazing sale going on, but it's only for a short time! You can purchase UNKNOWN for only $2.99 (USD)! If you ask me, that is definitely an AMAZING DEAL. A whole book, for less than the price of a coffee at Starbucks. Since you know you definitely want to buy the book, I'll include a summary of the book and the links to purchase below! ORDER UNKNOWN HERE! For only $2.99 USD! And now for the really fun part, the GIVEAWAY!!! This giveaway is open internationally, which means all (and I mean all) of you lovely readers can enter to win a prize pack! The GRAND PRIZE is the picture below. If you are the GRAND PRIZE winner, you will receive: a Signed Paperback Copy of Unknown, an Unknown Poster, Bookplates, and Bookmarks! But WAIT! There are going to be two more winners for this giveaway, with each of the "runner-ups" receiving a digital copy of UNKNOWN from either Barnes and Noble or Amazon), with signed bookmarks and bookplates! BUT: You should definitely enter because this is an amazing opportunity for ALL of you guys! Again, thank you so much to Irish Banana Blog Tours and Wendy Higgins for allowing me to promote a great book and a great sale! 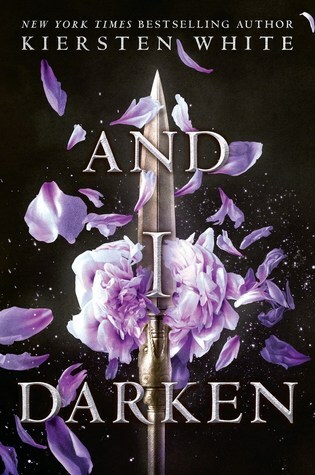 You may recall that on Friday, I posted my written review of AND I DARKEN on the blog, and I also recorded a video review that I posted on my YouTube channel a couple of weeks ago. Well, I thought that now would be a perfect time to create a mood board for this book as well! Order AND I DARKEN Here! 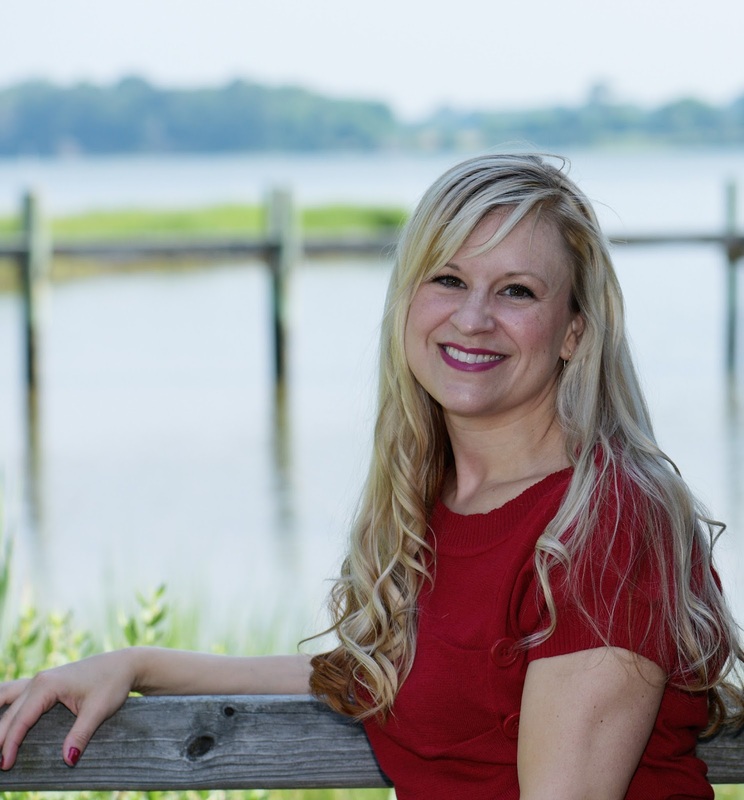 Learn More About Kiersten White Here! Victoria Aveyard’s RED QUEEN meets Sarah J Maas’ THRONE OF GLASS in this historical fiction by MIND GAMES author Kiersten White. Lada Dragwyla and her younger brother Radu have lived peacefully in Wallachia --- their father’s kingdom --- for as long as they can remember. But just because the pair have been living peacefully doesn’t mean they have been happy. Lada is forced to follow in her mother’s footsteps, knowing all well that the only value she holds is in marriage to create an alliance, even if that’s not what she wants. Radu, on the other hand, has been forced into the spotlight as the “Son of the Dragon”, as he has been taking classes to learn how to become a true warrior. Lada would kill for that opportunity --- literally. But when Lada learns of chaos coming to their humble home which threatens her father’s rule, it tears their life apart. Under the pressure of an Ottoman authority, Lada’s father surrenders his children to the Ottoman Courts, causing the pair to adjust to a completely different lifestyle, with different people, rules, and expectations. But the “Daughter of the Dragon” has her own bite, and she doesn’t play by the rules --- even if it means the lives of herself and her brother could be taken away in an instant. Being the history buff that I am, I fell in love with the way that Kiersten White brings the Ottoman Empire into a fictional story. White is able to flawlessly weave the fabrics of reality and fiction together, bringing in historically accurate information into a story while putting her own spin on the time period. I almost forgot that this story was a fictional encounter, and didn’t actually occur in history! While adjusting to the new lifestyle in the Ottoman Courts, Lada goes through not only a change in her lifestyle, but several transformations of her personality, values, and morals. Lada, being more of a female Vlad the Impaler in the beginning of the book, not only questions her life back in Wallachia, but how she has treated others, what she values and what she wants her future to be. Radu, Lada’s brother, also goes through a period of transformation, questioning his family, his home, and above all, his religious beliefs. As a teen myself, I enjoyed seeing these characters question what they have been taught and the situations they have grown up in. I think that this questioning helped to change and strengthen their frame of mind, and it was not all that different to what young adults and teenagers do during our transition from our adolescence to our adult lives. Seeing uncertainty, doubt, and fear on the page made these characters human, and ultimately, helped me connect with them a lot more as a teen reader going through the same questioning of everything that I know. AND I DARKEN follows Lada, Radu, and a slew of other characters during very important times in their lives. The book opens during Lada and Radu’s time in Wallachia, their homeland, and progresses through their time in the Ottoman Courts. Within both of these settings, characters are introduced to new and tricky scenarios, and forced to make decisions that will change the course of their lives. 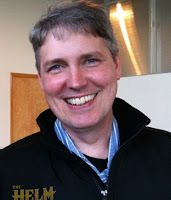 It does take the characters quite some time to make decisions and see the consequences of their actions, so the plot progression can be slow at spots in the book. However, once the characters begin to realize the consequences of their choices, the plot thickens, and several high-intensity scenes occur right after another. I would recommend AND I DARKEN to anyone that likes to read Young Adult literature. Because the book takes place within the Ottoman Empire, AND I DARKEN does include references to historical events and figures.AND I DARKEN already had me sold on the “gender-swapped Vlad the Impaler” piece, but the story is much more than these historical tidbits. Sure, AND I DARKEN showcases the successes and perils of the Ottoman Empire, but also explores the concepts of free will, hope, family and religion in ways that all readers understand. Kiersten White crafts a thought-provoking, captivating, and enthralling tale of two young siblings trying to find their place in the world and discover who they truly are. FTC Disclaimer: I received this book from Emma's ARC ADOPTION AGENCY in exchange for a review. This in no way affects my review of the book. All reviews are honest and my own.